Costa Rica voted in favor of joining a free trade agreement with the United States, but opponents of the pact refused to recognize the results. Almost 52 percent of votes backed the Central American Free Trade Agreement, which sharply divided the country between those arguing it would bring continued economic development and critics who feared it could hurt farmers and small businesses. "Costa Rica's people have said 'yes' to the treaty, and this is a sacred vote," President Oscar Arias said. But Eugenio Trejos, the leader of opposition to the pact, said he would not recognize the results and vowed to wait for a manual recount scheduled to begin Tuesday. It could last up to 15 days. "The people have spoken, and the achievements we have obtained won't be lost," he said. "That's why we will wait for the ballot-by-ballot recount." 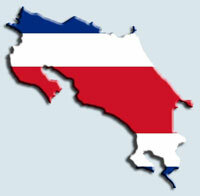 Costa Rica was the only holdout in ratifying the deal, known as CAFTA, among six Latin American signatories. The pact is in effect in the Dominican Republic, Guatemala, Honduras, Nicaragua and El Salvador. The results were closely watched by the White House, which fought a bruising political battle to get the deal ratified by the U.S. Congress, where it passed by a two-vote margin. On Saturday, Washington urged people to recognize the treaty's benefits, saying it would not renegotiate if the deal was turned down. U.S. officials also suggested they might not extend trade preferences now afforded to Costa Rican products and set to expire next September. Arias urged the nation to move forward. "The treaty isn't what divides us," he said. "It's poverty that affects 900,000 Costa Ricans, a lack of work and violence. These are the things that separate us, and they will continue to be my priority." The presumed victory was a surprise, given that most polls leading up to the vote predicted an easy defeat. The Costa Rican president says the pact is crucial to industries in this Central American nation of 4.5 million people, calling it an "important tool for generating wealth in the country." Arias, who won a Nobel Peace Prize for helping end Central America's civil wars in the 1980s, said rejecting the pact would threaten trade benefits that help Costa Rica's textile and tuna industries. But many Costa Ricans are skeptical of the pact, or downright hostile. Lawyer Flor Vega said she feared the trade agreement would end up giving foreign interests the development rights to Costa Rica's natural resources. Critics also object to requirements that Costa Rica open its telecommunications, services and agricultural sectors to greater competition, and fear a flood of cheap U.S. farm imports. When Arias arrived at a polling station to vote, opponents of the pact almost prevented him from entering and yelled "Arias traitor!" Others shouted in support of the pact. Costa Rica has a thriving eco-tourism industry, maintains relatively high-paying jobs and is a magnet for Salvadoran and Nicaraguan migrants. Costa Rica exported US$3.37 billion (Ђ2.38 billion) in goods to the United States last year and imported goods worth US$4.57 billion (Ђ3.23 billion), according to Costa Rica's trade ministry.